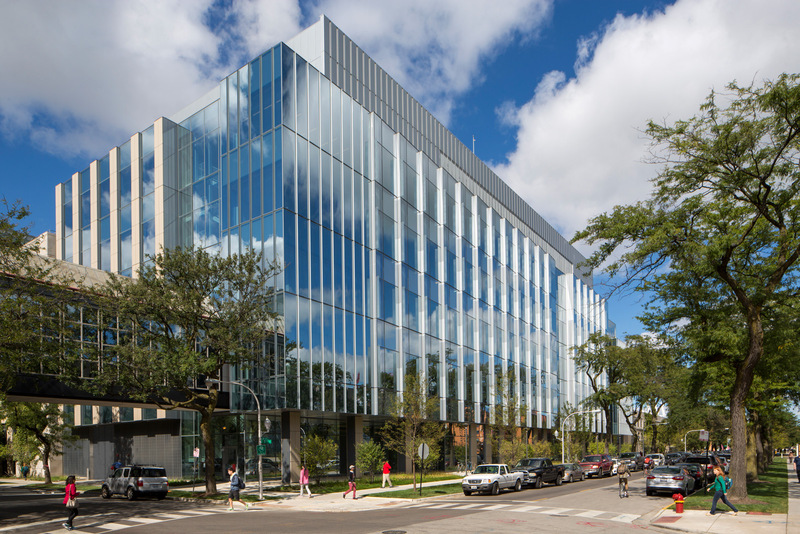 Three of the University of Chicago’s Physical Sciences schools have a new home. 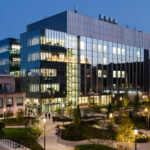 The Department of Astronomy and Astrophysics, the Kavli Institute for Cosmological Physics, the Institute for Molecular Engineering, and the Dean’s Office of Physical Sciences all moved into the new Eckhardt Research Center earlier this year. 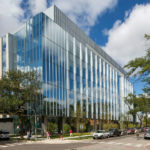 Designed by HOK, the new center is specifically planned to encourage interdisciplinary relationships between the different, yet related, fields in the building. 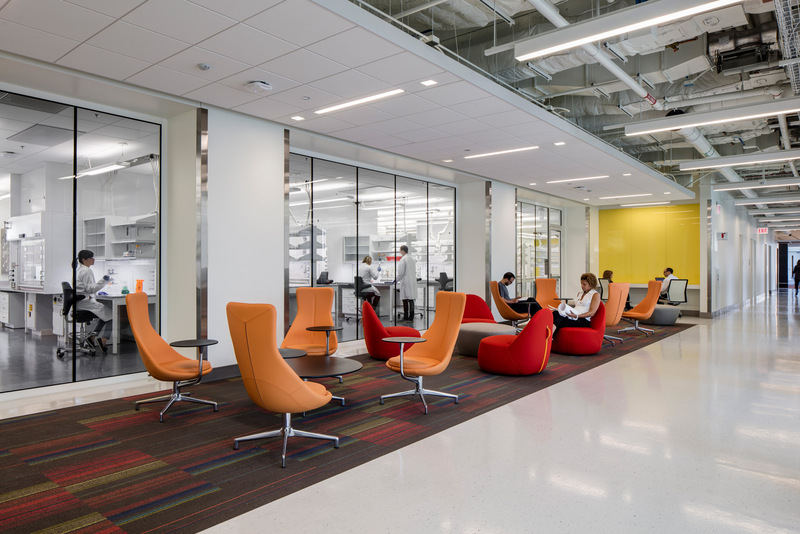 Large conference facilities, breakout spaces, and purpose designed collaboration spaces provide formal and informal meeting areas. Each floor was envisioned as a neighborhood with fluid movement through light-filled hallways. The new building is anticipated to receive LEED Silver certification. The project is designed to reduce water use by 40 percent of water use and 30 percent of energy use of a similar size building. Five of the buildings seven floors rise above grade with transparent glass facades. Under consultation from James Carpenter Design Associates each face for the building is calibrated to the surrounding conditions. 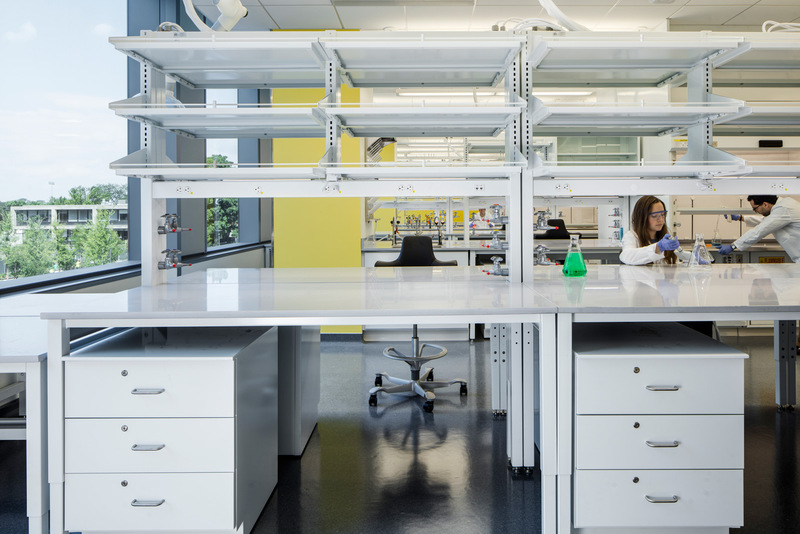 The upper floors of the building are set up for a variety of lab types from optics to chemistry. 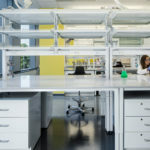 The two levels below grade are filled with highly technical spaces needed for advanced research (the video above gives an in-depth look at these facilities). Some of the underground laboratories are isolated from vibration and electromagnetic interference. The 277,000-square-foot building is the first new building for astronomy in well over 100 years. 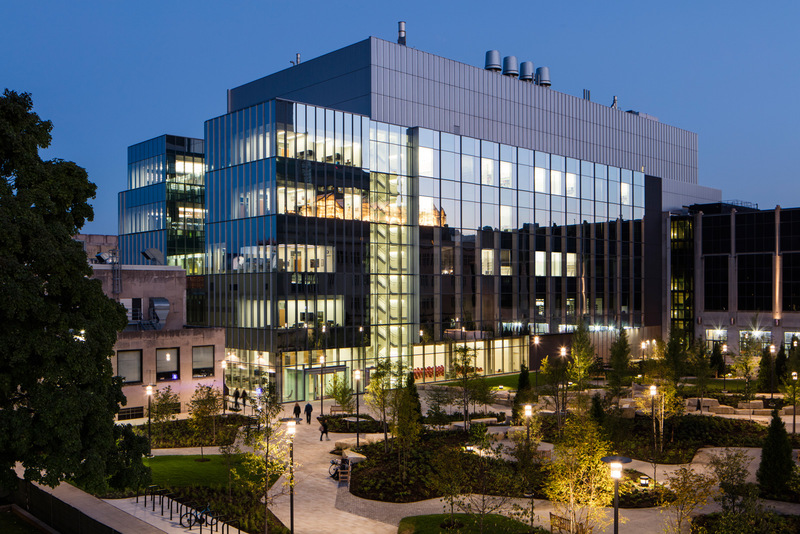 It is also the first time that the Institute for Molecular Engineering (IME) has been housed in one building. The IME will be taking advantage of the buildings 11,000 square feet of clean room space. Everyone in the building will be able to utilize the rooftop terrace with views of Chicago’s skyline.